I’m going to add more to the list of questions about the notion that Japanese culture is Zen culture. 4. It is commonly accepted that the foundation of Japanese religious consciousness is ancestor worship. It is generally taken care of by Buddhism and various rites of passage, including weddings, are taken care of by Shinto. 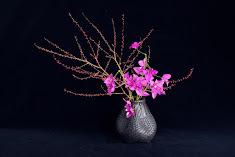 However, such a division was introduced only in the Edo period (1603 -1867). When Buddhism was introduced to Japan in the 6th century, it was probably perceived as a sophisticated and trendy religion. Nevertheless, it was probably Shinto that took care of ancestor worship, the foundation of the spiritual life of the Japanese. Such a foundation has been maintained throughout the Japanese history until today, but it is easily concealed by other religious veils such as Buddhism. 5. The original Zen, introduced to China from India, was very different from the Zen practiced in Japan today. Zen in Japan is very similar to Shinto in many aspects including its goals, attitude to nature and, in particular, aesthetics. Although I have not explained anything properly, I sometimes imagine that the Japanese may have been practising Shinto under the veil of Zen. I further imagine that the perception of Japanese culture as Zen culture may be wrong. Such a notion might have been propaganda prompted by Daisetz Suzuki, Kyoto School of Philosophy and the Japanese government. Probably they wanted to ignore Shinto as the foundation of Japanese culture. First, it is hard to investigate Shinto anyway. There are not sufficient reliable introductory documents about Shinto. In addition Shinto was highly political before the war. It must have been inconvenient to present Japan as a nation of Shinto in the international community after the war. However, Shinto thoughts related to politics before the war or right wing extremism were abnormal parts of it. 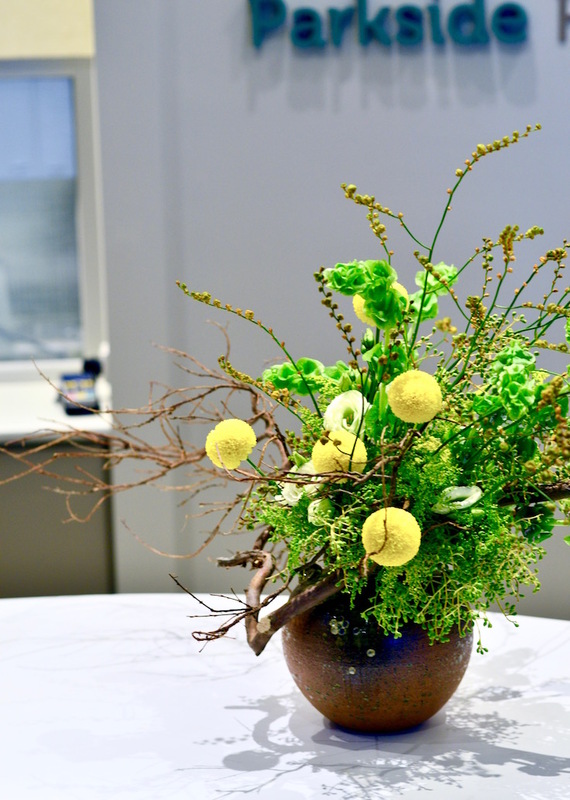 In considering Ikebana in relation to the Japanese spirituality, Shinto perspectives are necessary rather than those of Zen. My proposal is that Japanese culture is fundamentally Shinto culture. While it seems to be common sense historically, surprisingly few people publicly advocate such a notion. 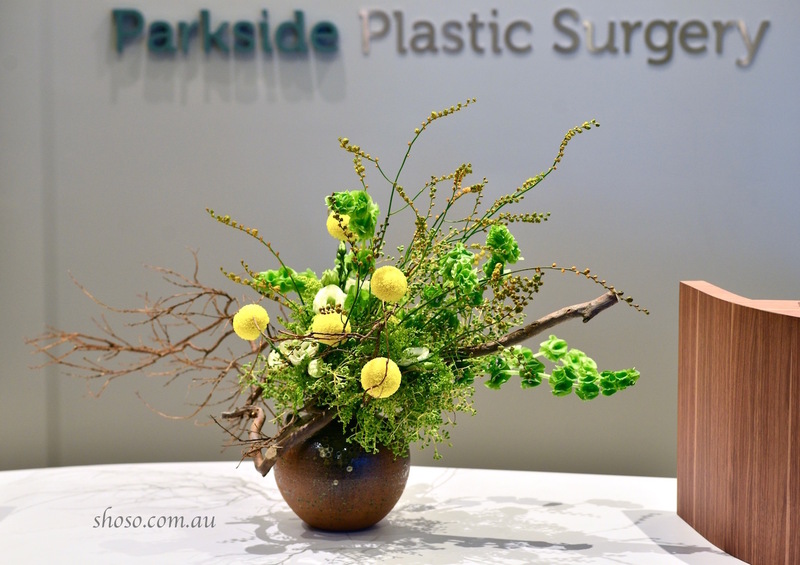 This is a commercial Ikebana work using a branch found on the roadside. Natural wastes are often our resources. I’ll take a part in Arts Learning Festival in Melbourne with some international artists such as Michelangelo Pistoletto in May.